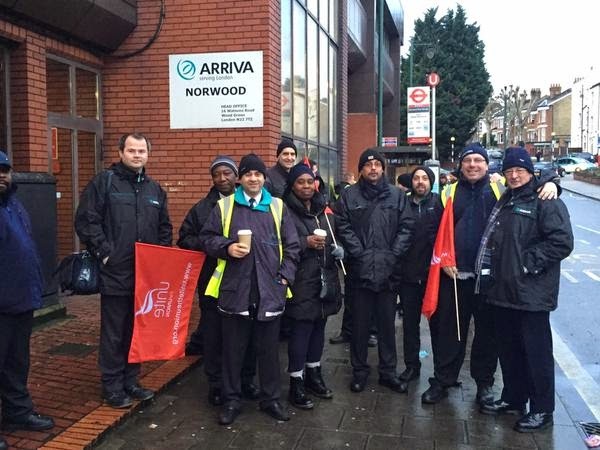 Thousands of bus workers went on strike for 24 hours last Tuesday (13 January) as part of a campaign to end pay inequality across the company's bus network. 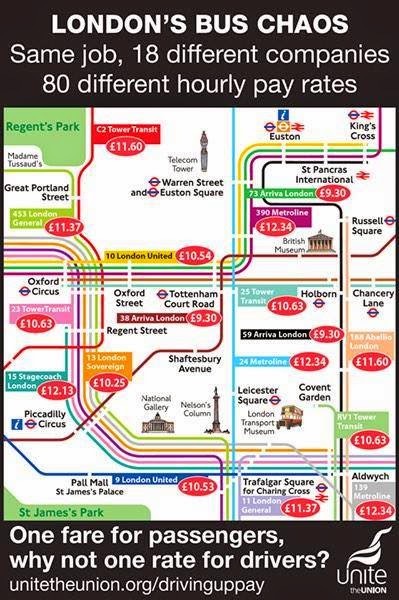 18 bus operators across London pay different rates for the same jobs, with a disparity of over £3 an hour. 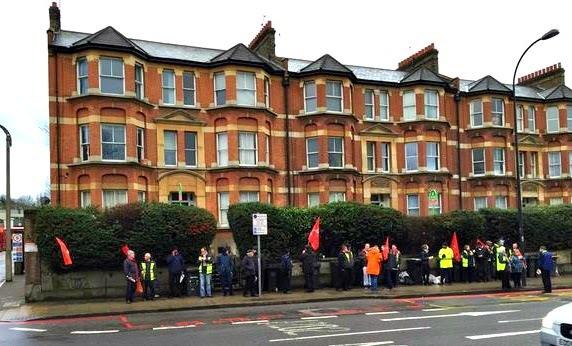 There were pickets at all 70 bus garages, including across South London. I have some sympathy with bus drivers who are paid considerably less than tube train drivers for doing a job that requires a great deal more skill. However, equal pay across different companies seems like a bizarre request.